WW1 Heroism: Through Art and Film and Robert Burns: Poems, Songs and Legacy are very, very short MOOCs that begin in January. Both will be offered through Futurelearn, a (mostly) UK online course platform. If you are interested, you need to get an account (free) from Futurelearn, and then enroll in the course that interests you. We probably won't offer any Sunday discussion groups for these classes, but they might be a good way for you to first experience MOOCs. Remember you will just be auditing, you can abandon the project at any point. New to this? MOOC stands for Massive Open Online Course. Thousands of students participate in each class. Here is a general guide to exploring via MOOCs (which we haven't read, we just plunge in). Class Central offers a very nice catalog of upcoming MOOCs from many sources. Click on the "subjects" tab. WW1 Heroism: Through Art and Film, University of Leeds, begins the 4th of January and lasts for just two weeks. It will be offered again beginning 1 Feb, 7 Mar, 4 Apr, and 2 May. Estimated time required is about 2 hours per week. Only 4 hours total! The teacher is Alison Fell, a professor of French cultural history, whose research focuses on French and British women and WW1. Robert Burns: Poems, Songs and Legacy, University of Glascow, begins on Burns Night, January 25, and lasts 3 weeks, with about 4 hrs/wk estimated to complete the coursework. 12 hours total. This class will be taught by Professor Gerard Carruthers FRSE, Francis Hutcheson Chair of Scottish Literature at the University of Glasgow. 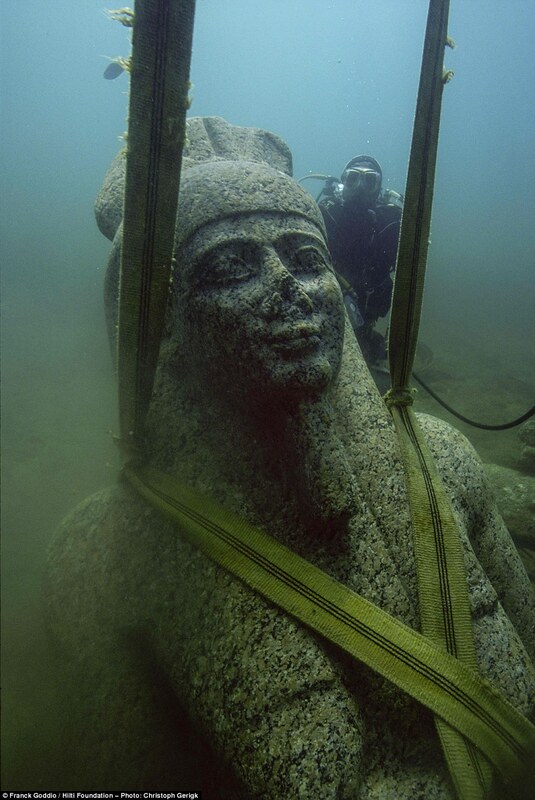 Perhaps you would prefer "Shipwrecks and Submerged Worlds: Maritime Archaeology". You can even learn animation techniques through the National Film and Television School. Hundreds of courses are opening within the next few weeks on all the platforms. Check out the lists at edX and Coursersa. You can study the "Greatest Unsolved Mysteries of the Universe" as well as "Jane Eyre" at edX this month. At Coursera do not miss Learning How to Learn, beginning again Jan 1. It is one of the very best MOOCs we have done here at the library. For those of you who love science, Dino 101 will repeat beginning January 4. (From Dino Central - The University of Alberta.) It will last all spring. 12 weeks of wonderfully great fun. Public Meeting on Library renovation and possible expansion, Thursday January 7, at 7:30 p.m. in the Azalea Room. All are invited to join us for this presentation by architect Greg Lukmire, and the following discussion. WinterQuest: Join us for our annual winter break reading program, with art and story by Dave Burbank. Runs throughout January at the Library. Stop in and register, and pick up your game board. Brought to you by the Friends of the Library. LEGO Club, Sunday January 10, 1:30 � 3:00 p.m. at the Library. Fun with LEGO with Ms. Kati. Bedtime Stories and a Craft, Tuesday, January 12 at 7:00 p.m. in the Library. Stories and songs for little ones with Ms. Kati. Nepal Earthquake and Aftermath, Thursday January 14, 7:30, featuring Takoma Park resident Larry Silverman. Friends Big Book Club will discuss Theodore Dreiser's An American Tragedy beginning in April 2016. Check at the Library for future discussion dates. 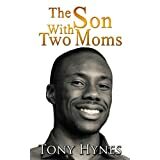 Takoma Park author Tony Hynes, author of the memoir The Son With Two Moms, will be joining other local authors in signing books 12/12 at the book fair uptown at Trov. We are very proud that one of our library kids grew up to became a writer. Mary Amato, Get Happy. A novel with humor and heart about a 16-year-old aspiring songwriter and how friends and music help her get through an emotionally difficult time. Nancy Arbuthnot, Spirit Hovering: Poems. Meditative poems based on religious texts dealing with such issues as war, race relations, family relationships, pruning trees, and learning to drive. Isaac Baker, Broken Bones: A Novel. Broken Bones is the heartbreaking and ultimately inspiring tale of a young man�s battle with depression and anorexia, of his fight with not only his own inner demons but with the inhumanity of the mental health system itself. Emory Luce Baldwin, Parenting With Courage and Uncommon Sense, was written to show parents what really works when it comes to raising children who grow up to be good people, not just good kids. The lively format and true-to-life examples entertain readers, while also showing parents how to understand why children misbehave, get children to stop repeating disturbing misbehaviors, discover how to encourage children to try harder and deal better with their problems�and how to use love, respect, and encouragement to teach children to grow kinder, more cooperative, and more helpful. Abby Beckel, Rose Metal Press, an independent publisher of hybrid genres, specializing in the publication of literary works that move beyond the traditional genres of poetry, fiction, and essay to find new forms of expression. The most recent titles are Family Resemblance: An Anthology and Exploration of 8 Hybrid Literary Genres; Ghost Box Evolution in Cadillac, Michigan, by Rosie Forrest; In the Circus of You: An Illustrated Novel-in-Poems, by Nicelle Davis and Cheryl Gross; and My Very End of the Universe: Five Novellas-in-Flash and a Study of the Form. Adam Brookes, Spy Games�the second book in the Night Heron trilogy�sees Chinese intelligence at work in East Africa, pushing Chinese power out into the world. British journalist and agent, Philip Mangan, is dragged into lethal Chinese infighting. Hank Cox, For Love of a Dangerous Girl, is the story of Charlotte Corday, the brave young French woman who assassinated the radical leader Jean Paul Marat in the summer of 1793, and the man whose love for her propelled him to join her on the guillotine. It is about the triumph of love over death. Eric Donaldson, The Virus Chronicles: The Culling. An extraterrestrial virus attacks all life on Earth, crossing the species barrier and confounding the best scientists at the CDC. The virus quickly gets out of control, and only one man, Dr. Tony Van Lee, stands in its way. Hoping to find a cure, he and a small group flee to an abandoned government lab. But he is being hunted by the army�s ultrasecret bioweapons unit and a violent religious zealot. Without a cure, all of mankind will be lost. The clock is ticking. Is this the way life ends on Earth? Pintip Dunn, Forget Tomorrow. In a world where memories can be sent back in time, 17-year-old Callie receives a vision of the unthinkable: of herself in the not-so-distant future killing her beloved younger sister. USA Today calls Forget Tomorrow a must-read YA, and Goodreads has named this science-fiction adventure as a best YA book of the month. Kathleen Fulton, Time for Learning: Top 10 Reasons Why Flipping the Classroom Can Change Education. This book offers teachers, parents, students, and anyone interested in education a window into why flipping the classroom (sending teaching lessons home on video as �homework, thereby freeing up class time for discussions, practice, and creative applications of that content) may be the hottest new trend in education. Supported by examples from teachers at all grade levels and content areas, the book�s Top Ten Reasons include how flipping is backed by research, makes good use of technology, gives teachers more time to work individually with students, encourages student initiative, supports parent involvement, and more. Jennifer Glimcher and Melissa Glim, The Littlest Cow. A little dog named Annie wants to march in the town�s cow parade. Unfortunately, the cows don�t want to share their parade with outsiders. To reach her goal and bring harmony back to the town, Annie has to bring together the feuding cows and help them make friends with each other and animals on other farms nearby. Gareth Hinds, Macbeth. Set against the moody backdrop of eleventh-century Scotland, Gareth Hinds�s captivating, richly illustrated interpretation takes readers into the claustrophobic mind of a man driven mad by ambition. An evil seed takes root in the mind of Macbeth, a general in the king�s army, when three witches tell him he will one day be king. At the urging of his wife, he resolves to take the throne by the most direct path: a dagger in the heart of King Duncan. But blood will have blood, and when others grow suspicious of his sudden rise to power, is Macbeth prepared to commit more murders to keep the crown? David Hubbard with Marcie Wolf-Hubbard, Poems From Within an Artistic Ekphrasis. A collaborative work, this small book features 20 of Marcie�s encaustic paintings and David�s responses to them in poem form. Some of Marcie�s paintings are currently on display at Busboys and Poets in Takoma Park. Alison Kahn, Patapsco: Life along Maryland�s Historic River Valley, with photographs by Peggy Fox and foreword by Robert Coles. This collection of oral history narratives, essays, and photographs profile the lives of longtime residents of five historic Patapsco Valley villages: Ellicott City, Oella, Elkridge, Relay, and Daniels. The love of place shines through in this volume, which chronicles experiences that span nearly a century. Tom Kaufman, Erased and Other Stories. This collection of superb stories shows the skill and versatility of Thomas Kaufman, author of Drink the Tea. Kaufman�s unusual private eye, Willis Gidney, is on hand for two stories, as well as a devious ADD coach for adults, a Polish Jew attempting to smuggle a priceless violin out of Nazi Germany, a political operative with his own agenda, a sensible man pushed into a senseless crime, and a cameraman who�s trying not to kill his client�all caught up in more devious plots than you can shake a lead pipe at. Saundra Rose Maley, Disappearing Act. Saundra�s delicate, lovely poems, which themselves seem to fuzz out the way the mysteries of simple lives fuzz out and leave us wondering in the mere living of them . . . they don�t insist in a heavy-handed, ham-fisted way. And yet they are perfectly understandable, unlike so much poetry I see these days . . . these lyrics�true lyrics, true songs, all projecting the feeling of great loss even in the simplicity of their recollections�proceed from the question in Walking toward King Tutankhamen. This time I come to ask�is there a crossing over or is this life just what it is, a sandal strap at best. Nevin Martell, Freak Show Without a Tent and It�s So Good: 100 Real Food Recipes for Kids. Freak Show Without a Tent: Swimming with Piranhas, Getting Stoned in Fiji and Other Family Vacations is a grandly hilarious memoir-misadventure that is equal parts National Lampoon�s Vacation, Anthony Bourdain�s No Reservations, and the essays of David Sedaris. It�s So Good: 100 Real Food Recipes for Kids is a unique cookbook geared towards little chefs. Each recipe contains a list of ingredients, detailed cooking directions, a photo of the finished dish, and helpful tips. Dan Mehlman, The Adventures of Dusty: The World�s Dirtiest Superhero. The story of a boy who, when on the receiving end of a beating by the school bully, begins to realize that he�s not like other kids. As he starts to discover the many special things he can do, he realizes that quite a few people around him also have special gifts. Bodil P. Meleney, R�nnaug Petterssen�The Artist and Her Dolls. The book tells the compelling story of the life and work of internationally acclaimed Norwegian doll artist R�nnaug Petterssen (1901�1979) about whom little has been written. It contains over 300 photographs from her early life and career until the end. Chris Meyers, The Moral Defense of Homosexuality: Why Every Argument against Gay Rights Fails. This book is a philosophical analysis of the best arguments against homosexuality and gay rights�which are all very bad arguments. Showing why each of these arguments fails also helps to uncover the true nature of morality: right and wrong are about preventing harm, respecting autonomy, fairness, etc. Morality is not, as anti-gay conservatives suggest, about God�s commands, avoiding what is unnatural, or any of that nonsense. Sandy Moore, The Peace Tree from Hiroshima: The Little Bonsai with a Big Story. For over 300 years, a special Japanese bonsai flourished in the care of the Yamaki family, who passed the art of bonsai from generation to generation. In 1945, war came to the doorstep of the Yamakis� Hiroshima home, but miraculously both the family and tree survived the bombing. This is the little tree�s story�and how it found a new home in the same country that threatened its survival. Richard O�Connor, The College Baseball Primer: A Guide to College Baseball, Recruiting, Scholarships, and Summer Collegiate Wooden Bat Leagues. The book is for high school and college student-athletes who want to make a college baseball team, for high school baseball coaches, and for parents of high school and college student athletes. Jamie Raskin, We the Students: Supreme Court Cases for and about America�s Students. The bible of the new movement for constitutional literacy, We the Students collects and analyzes the 50 most important Supreme Court decisions affecting America�s students and offers fascinating exercises and thought-experiments to build both constitutional knowledge and critical thinking skills. Jeff Richards, Open Country: A Civil War Novel in Stories, offers tightly woven stories from the view of soldiers and their families caught up in an epic conflict. But mostly it is about love and how to make the best of a bad situation. Pat Rumbaugh, Let�s Play at the Playground. This exciting children�s book features full-page photographs and inspirational text that get children playing. Says Karen MacPherson, children�s and youth services coordinator for Takoma Park Library, By the time I finish reading this book at our library�s Circle Time, the kids are all revved up to run outside and play. It�s thrilling to see how this book inspires kids to get up and get moving. Megan Scribner, Teaching with Heart: Poetry that Speaks to the Courage to Teach. For this book, 90 teachers, educators, and administrators each selected a poem and wrote a moving commentary about how the poem taps into the joys, challenges, and struggles that define their work and identity as teachers. Teaching with Heart honors the heroic optimism of teachers and their belief that despite the many challenges and obstacles of the teaching life, much is possible. Kathleen Wheaton, Aliens and Other Stories. A linked collection of stories about people in exile�political refugees from Argentina�s dirty war, survivors of a Cuban shipwreck, and exiles from Franco�s Spain�who navigate life far from home in Madrid, Buenos Aires, or suburban Washington, D.C. Minor characters in one story become protagonists of another as different generations confront a legacy of loss and longing. Sarah Wildman, Paper Love: Searching for the Girl My Grandfather Left Behind. Sarah discovered her grandfather left a lover when he fled Vienna in 1938. She went in search of the woman, traveling through five countries, researching archives, and tracking down personal leads, to discover what all this means for us now. Lisa Ellis Williams, Wife School. A book for newlyweds and wives who are looking for tools to build a stronger marriage that really works. A faith based, easy to use, and enjoyable approach to living happily married.